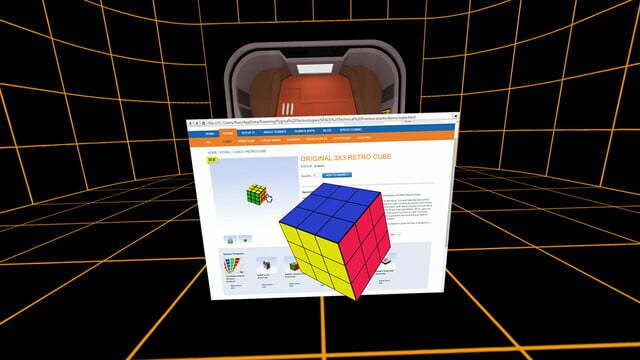 Virtual reality gaming is great fun – we’ve talked about it a lot in recent months. But VR has the potential to be much more practical than just letting us swing swords and shoot guns at digital enemies. It could help improve our productivity too. 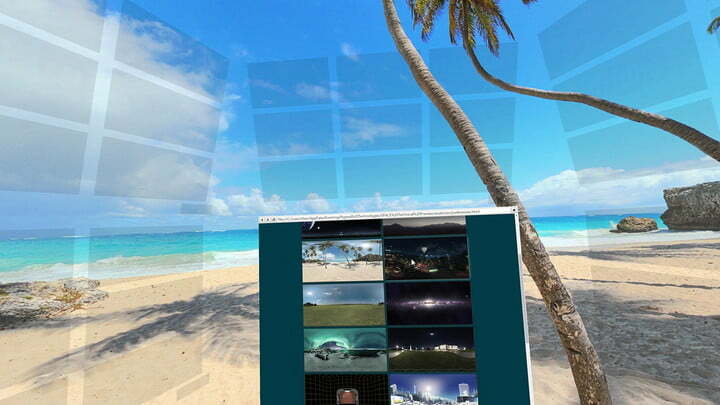 That’s what Pygmal’s Space is looking to do, by expanding your desktop to potentially infinite displays, in any location you choose, all through the power of virtual reality. 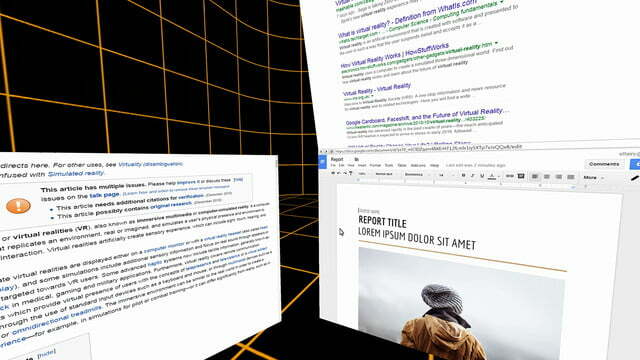 Space works in a similar manner to Virtual Desktop and Big Screen, but unlike those platforms which look to emulate the real-world monitor you have, Space wants to create a bunch of new ones for you to use. Six in fact, with the beta version, but when the final version launches before the end of this year, we’re told it will support as many as you like. This works because Space does away with the concept of displays altogether. 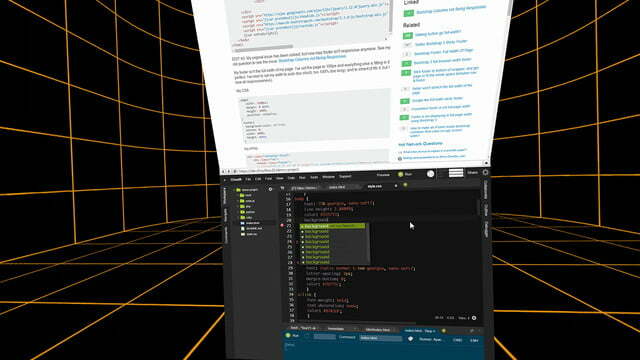 As explained to us by Jia, Space works natively with Windows applications and browsers, letting them essentially “draw,” content into the virtual space. That means you could have a browser open on one panel, a music app in another, a couple of Youtube videos either side and the work you’re supposed to be doing in another. When viewed through a VR headset, these panels can be moved, changed in size, shape and distance from your face, and they don’t use up any more resources than they would if they were displayed on standard monitors, we’re told. The backdrop is entirely customizable too. If you don’t like the default environment, change it up with one of the many included backdrops. 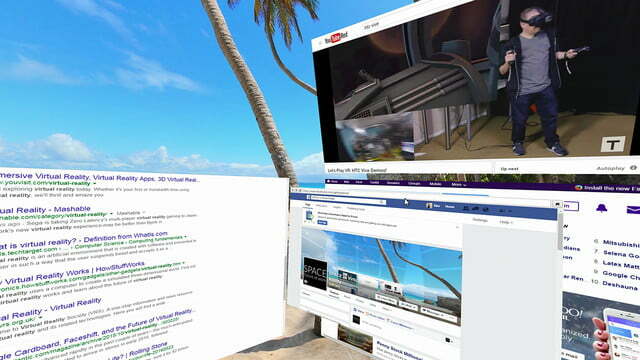 There’s a beach, or the middle of space – whatever takes your fancy. 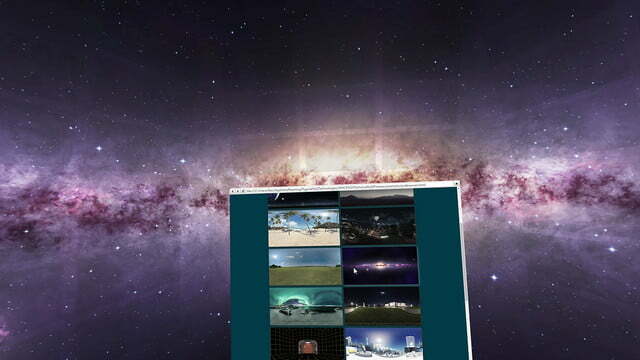 However if none of that does it for you, you can even load iyour own 360 degree images and use them instead. 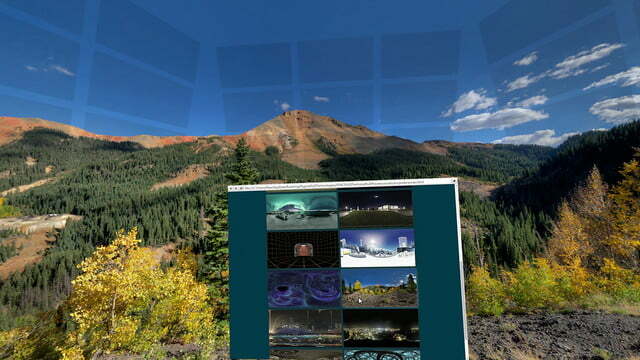 Pygmal is also hoping that 3D modellers pick up on Space’s potential, as it can load in three dimensional images, which you can continue to customize in a 3D space – something that’s just not possible on traditional 2D monitors. Space is mostly a tool designed to aid the office workers of the world, but it is looking to offer entertainment options too. Instead of taking off the headset or loading up another piece of software to watch a film, you can do that right inside Space’s virtual environment. In-fact if you maximize videos, it automatically switches over to the VR theater mode, which gives you the best seat in the house. Right out of the gate Space has full support for the Oculus Rift and HTC Vive headsets. The beta doesn’t come with support for either platform’s motion controls, though we’re told that Pygmal is currently playing around with a prototype of Oculus’ Touch controllers and the release version of the Vive’s wand controllers, so we can expect support for those to arrive along with the final version. This all seems like quite a lot for Pygmal, a relatively new start-up, to take on. However earlier this year it secured funding to the tune of $300,000, so should have enough backing for now to keep it going right through to Space’s commercial release. 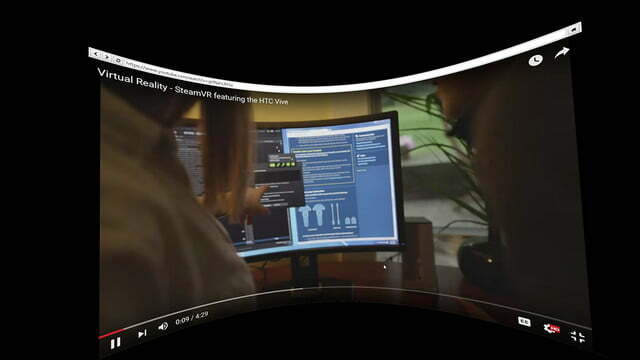 Other features set to arrive when that day comes include; support for an infinite number of windows; drawing 3D content with motion controls and even your hands using Leap Motion; better support for more native Windows applications (including games); and support for the HTC Vive’s front-facing camera, to provide a real world view of the user’s mouse and keyboard for easier interaction. Better yet, when it does debut, the final version of Space will probably be free. Although Jia wasn’t certain on that point, he said the plan was to keep it as such, much like the beta, with only business and commercial users charged for its use. You can download the Beta 1.0 of Space direct from the Pygmal site, or if you’d rather wait for it to be supported on other platforms, consider giving it a vote on Steam Greenlight. One of these poems was written by an AI -- can you guess which one?